Imagine: cross country skiing along a forest path at night– with lights. The path gets brighter as it merges into the city streets. Outside bars, dozens of skis resting against a ski rack reveal that you’re not alone. Norwegians know how to celebrate winter. This is why I an going. And, I also get to visit a great friend. I met Bjornar while mountain biking across Sardinia; when the rest of the group refused to bike through a snow storm to the highest peak, Bjornar proclaimed: “I paid for this,” and took off. The rest of us huddled in the truck with the heater on full. Bjornar recommended the following equipment for my trip: skates, bathing suit (outside swims are fun), shoes for hike, headlamp (I have some good ones), biking shoes with thick cover and I have bike with studded tyre…for you. 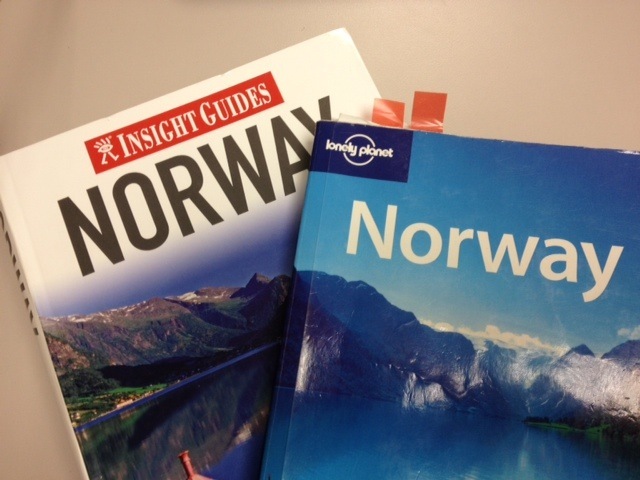 No, Bjornar; we are not just like you and that is why I’m going to Norway for the holidays.